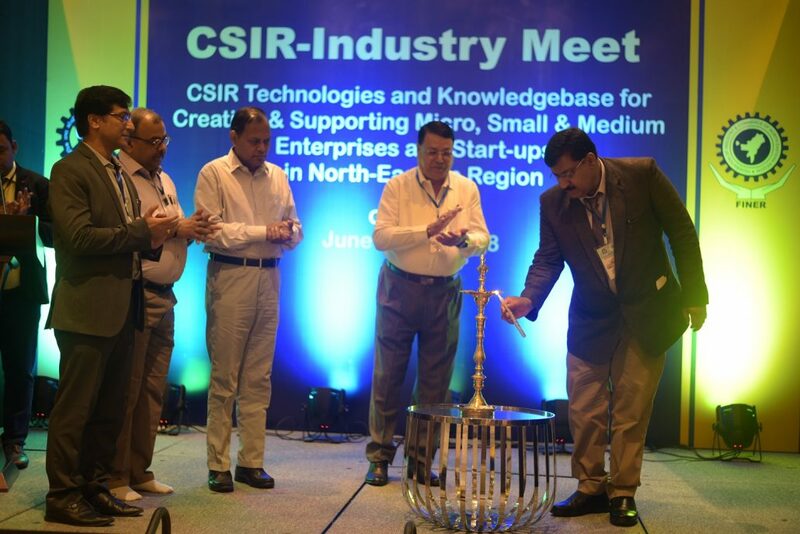 The Council of Scientific & Industrial Research (CSIR) conducted a two-day workshop in Guwahati on June 28 and 29 with Federation of Industry & Commerce of North-eastern Region (FINER) as the Industry Partner. The CSIR team comprised of top scientists of the country spear-heading industrial research, and was led by Dr Girish Sahni, Director General of CSIR, and Dr Sudeep Kumar, Head Mission Directorate CSIR HQ . Senior scientists from CSIR – laboratories from across the country participated and made presentations on industry specific topics with solutions for challenges faced in the north-eastern region. FINER, the apex industry body of the region played a key role in creating a platform for entrepreneurs of the region to share their experiences and to highlight the unmet challenges and expectations from the scientific community. Naveen Verma, secretary, Ministry of DoNER and S N Pradhan, joint secretary, DoNER addressed the gathering through video conferencing. Verma in his keynote address emphasized the need to harness the immense potential of the region in terms of natural and human resources through technology interventions and touched upon various schemes of central ministries and the supportive role played by DoNER Ministry through the North Eastern Council (NEC) and North Eastern Development Finance Corporation Ltd (NEDFi). He offered all assistance, both financial and technical, for development of technology based entrepreneurship development and upscaling of existing industries. Director General of CSIR, Gisrish Sahni, in his welcome address emphasized the urgent need of the region to be exposed to innovative and cost effective technologies so that industry can be competitive on pan India basis. He urged upon the scientists to identify deliverables and work cohesively with industry on a result oriented and time bound basis.